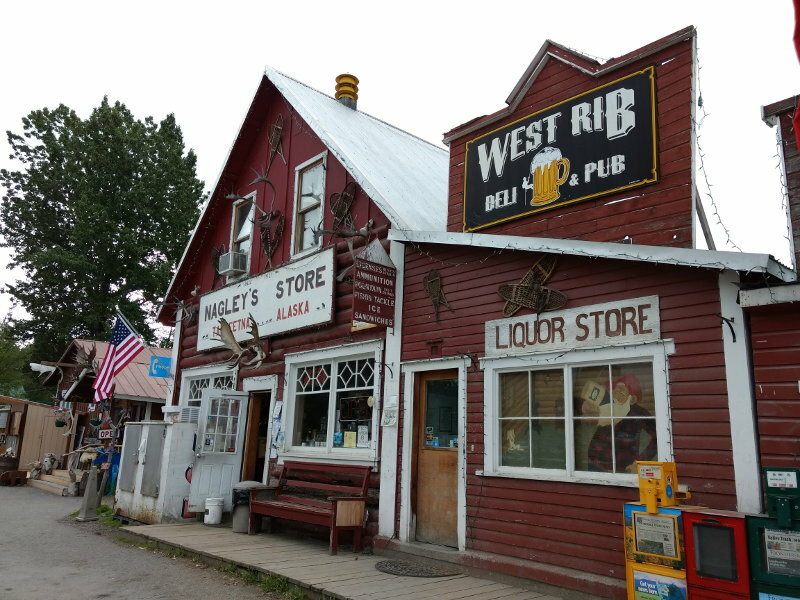 This is the first installment of our diary of our USA Alaska road trip in June/July 2018 with another brief visit into Canada and the Yukon! After landing in Seattle we caught our second flight, fliying to Anchorage with Alaska Airlines. We’d booked window seats on the right hand side of the plane for the views as we flew up – amazing. 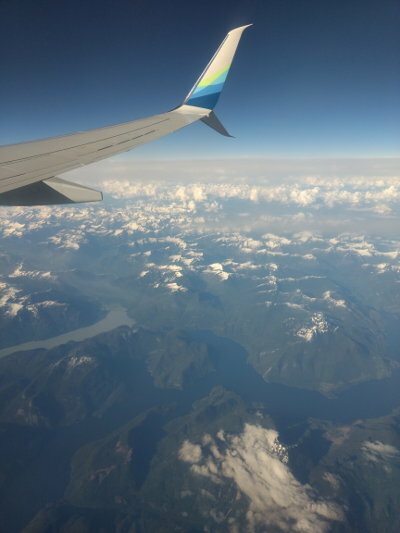 Alaska Airlines flight from Seattle to Anchorage – right hand side window seat! Landing in Anchorage, we picked up our hire car from National Car Rental, this time we had a brand new white Chevrolet Equinox! As usual, whilst the outside was spotless the inside was not – we always take wipes to clean the inside and then collect the rubbish that we undoubtedly find underneath seats and in door pockets. 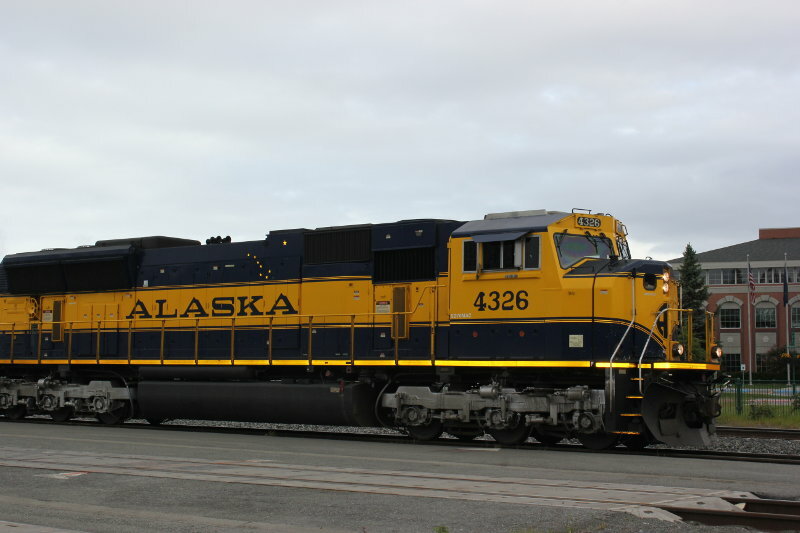 We then set off to our hotel, the Anchorage Grand – a great place with cooking facilities, parking and a view of the Alaska Railroad. Note – you do hear the trains THROUGHOUT THE NIGHT! This didn’t bother us but may be of concern to some. 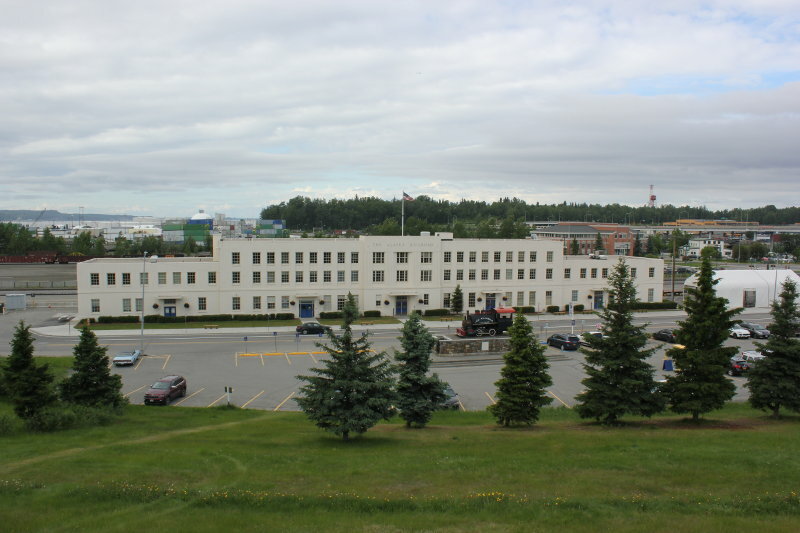 We stayed in Anchorage for 2 nights, spending our full day exploring the city with a visit to the Anchorage Hard Rock Cafe, Ship Creek (no salmon or bears) then took a drive out to Earthquake park, Pt Woronzof and a Walmart to stock up on supplies and bear spray. After checking out we headed into Chugach State Park and to the Flattop Mountain Trail. It was cloudy and very overcast so we only went as far as the Blueberry Knoll Circle but it was still enjoyable with lovely views. 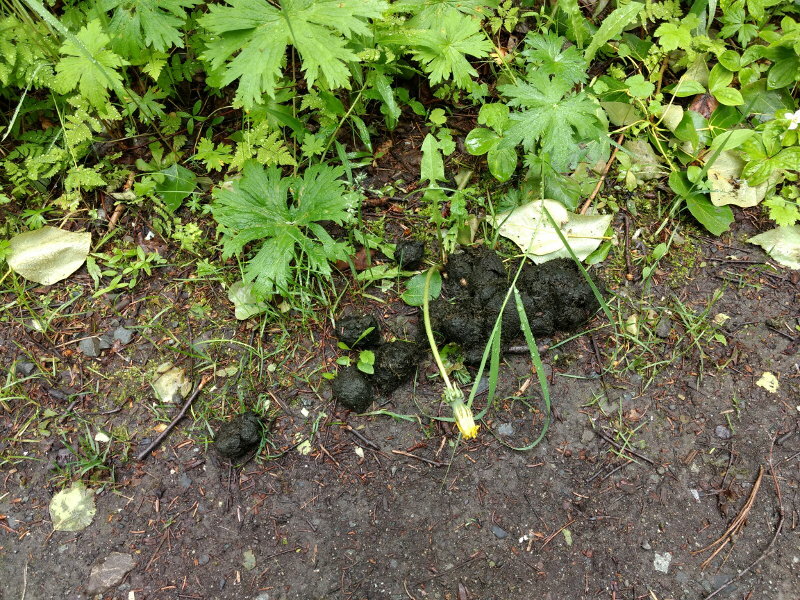 We then headed north to the Eagle River Nature Centre where we came across bear poop on the trail! No salmon around again so we carried on further north to Mirror Lake and Eklutna Lake. 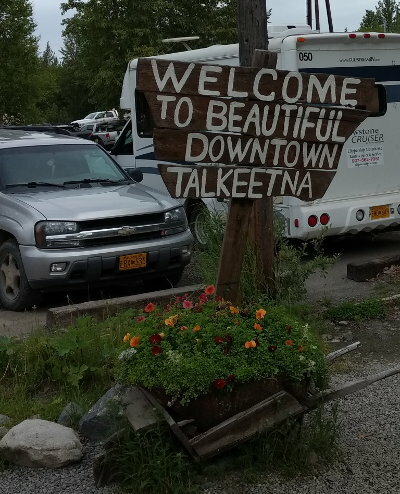 The next morning we set off early stopping by the impressive Talkeetna Alaskan Lodge and onto Talkeetna. It was very quiet when we arrived (around 9.30am). 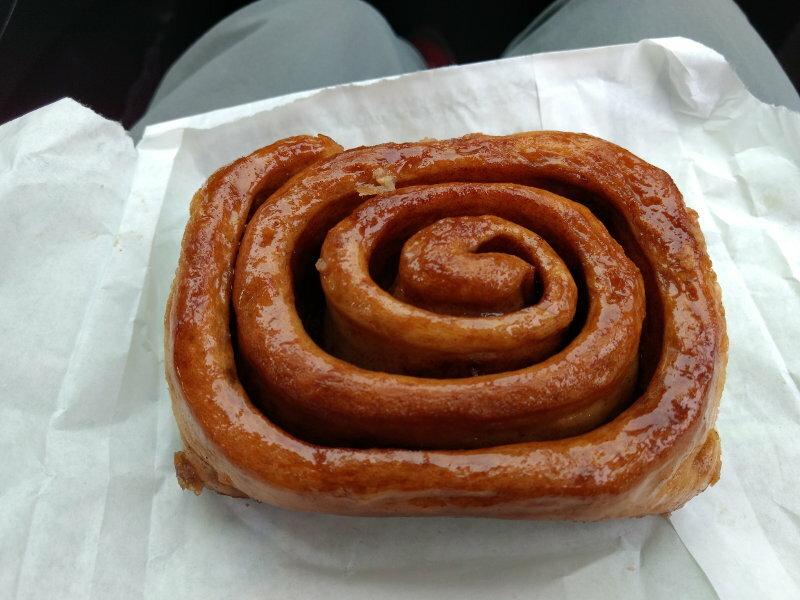 As we wandered it all seemed highly touristy for us, so we picked up a large and expensive cinnamon roll and headed back to our car to find the place suddenly overrun with visitors everywhere! 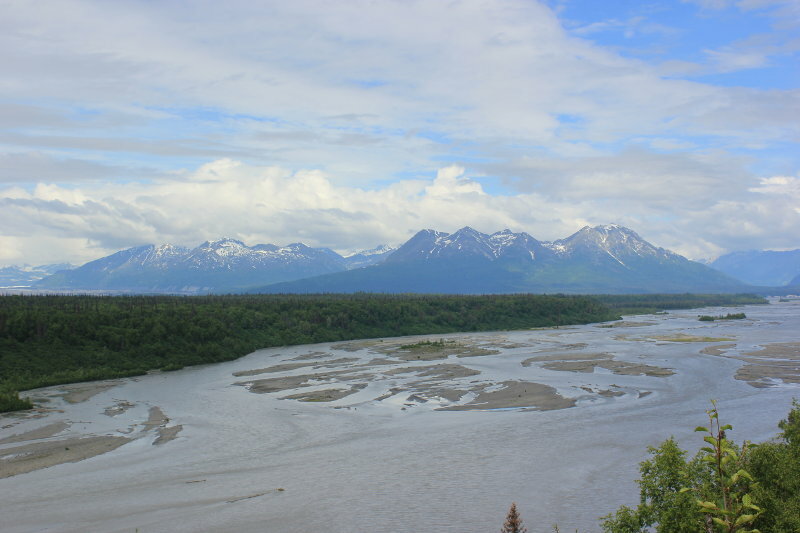 After cleaning very sticky fingers, we decided to head on north to Denali National Park taking in the Denali View South at M135 and Denali View North at M163 on the Parks Highway. Unfortunately there was cloud over the mountain tops, still a beautiful view though! 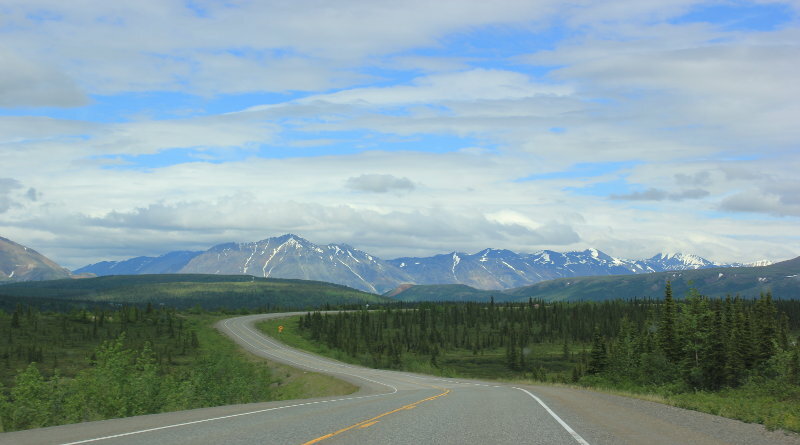 Driving to Denali National Park on the Parks Highway. 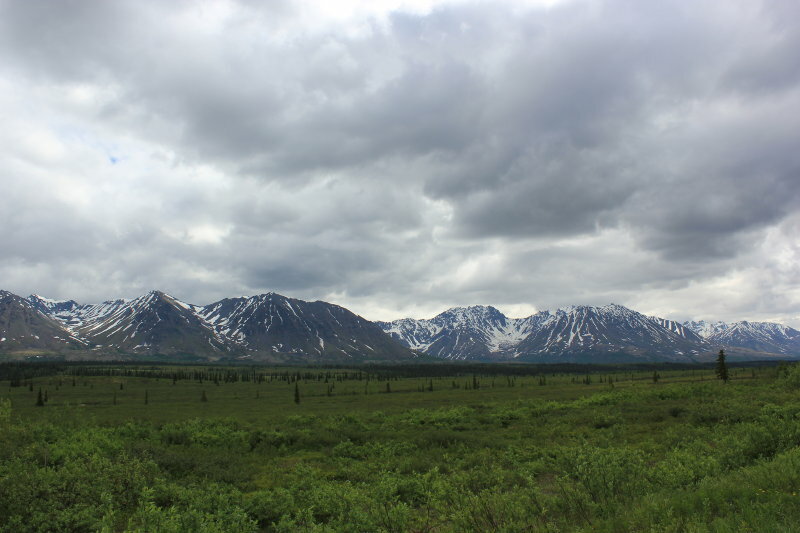 Denali View South – a few clouds about. 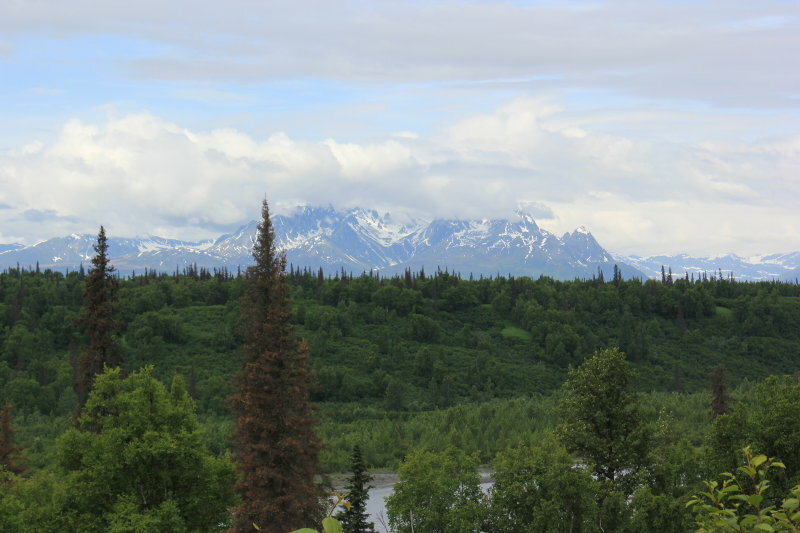 Denali View South – a few clouds about but still a stunning view. A great lunch spot.